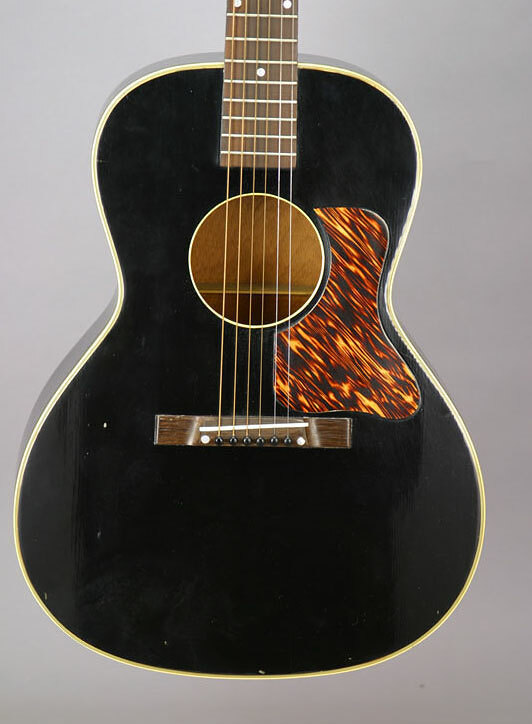 While he was photographed with a much earlier Gibson flat top guitar, Robert Johnson always seems to come to mind when we discuss the prewar Gibson concert size guitars. 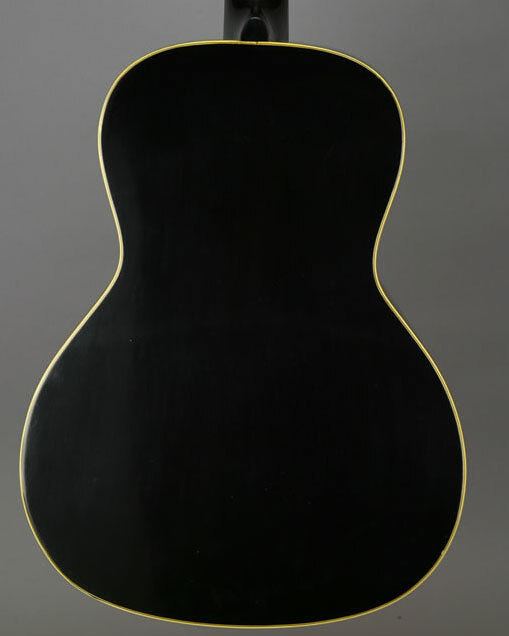 And, while this guitar is a fine blues performer, it is a lightly braced strong sounding fingerstyle guitar suitable for a wide variety of styles. 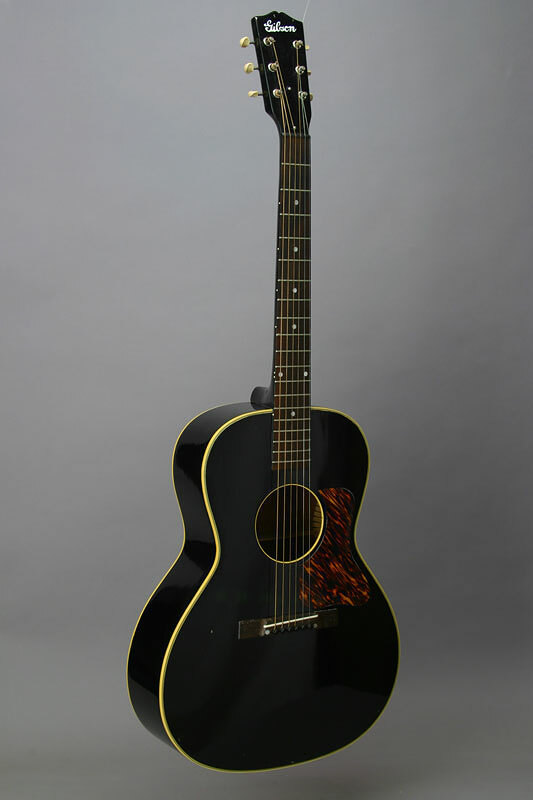 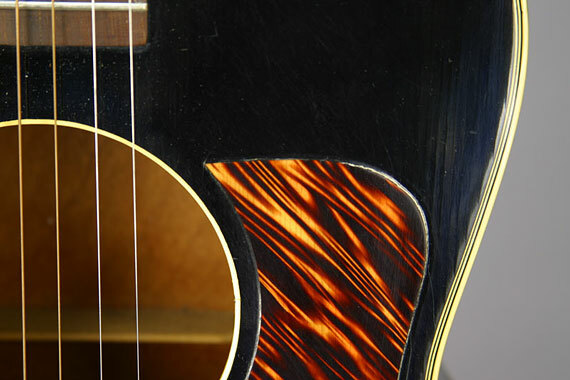 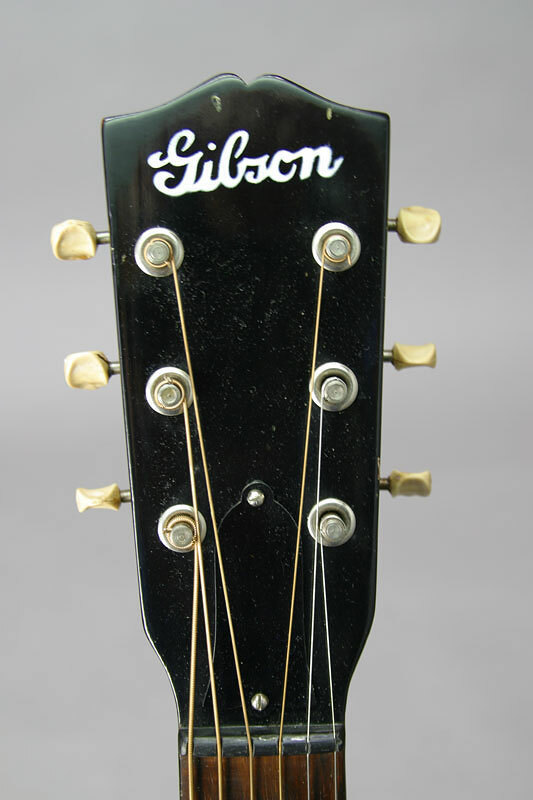 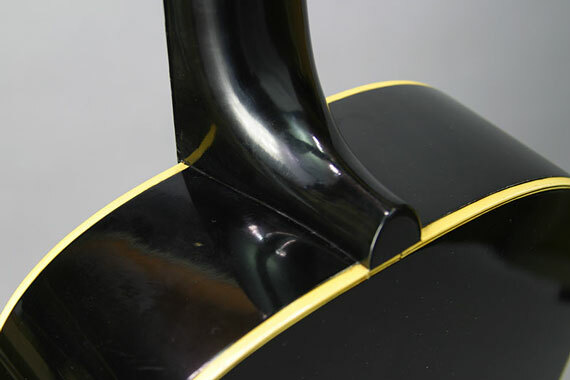 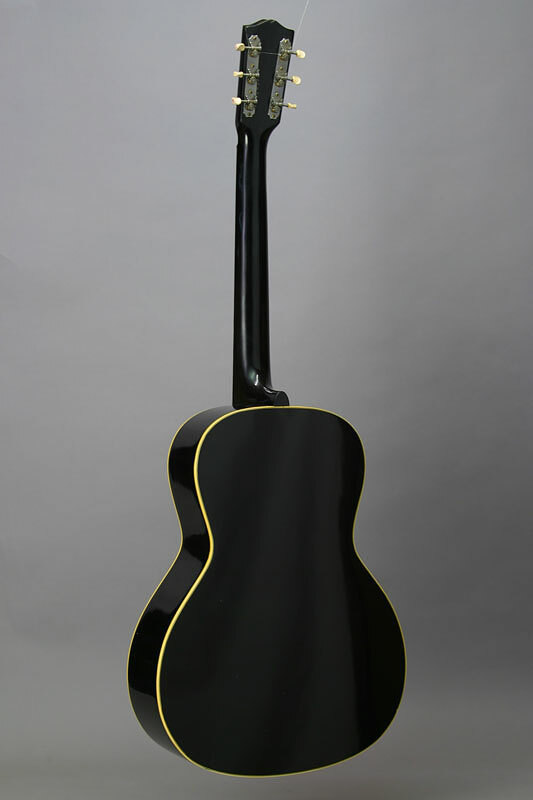 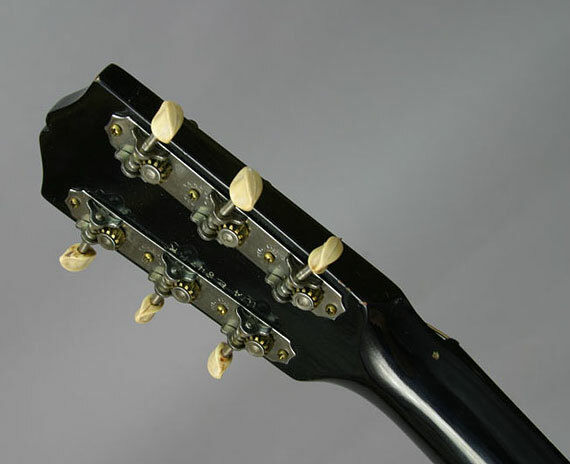 This black version has mahogany back, sides & neck, spruce top, and rosewood fingerboard & bridge.